Bare with me here as I share a few deep thoughts, but sometimes you have to know when to pull the plug on your current plans, adjust and move ahead in another direction. I am doing just that… I missed the Tatanka 100, and there is no way I could have raced it last weekend. I was starting to feel much better coming into that weekend, but definitely not ready for a rugged trail race. In fact, I had to pull the plug during a threshold test on my trainer the day after. That being said, I was able to get through a threshold test a couple days later and think I will be on some trails in another week. The Maah Daah Hey 100 is 3 weeks out and it looks like I will be healed up in time to race. However, I’ve had some time to reflect and think about my plans for the rest of the year as I’ve had a couple weeks of down time. Well, down time from physical activity anyways. I went into the Maah Daah Hey last year underprepared and I completely wrecked myself for the month or 2 afterwards. I finished well, in 10th place overall, but was wrecked. Just to keep things in perspective though… my 10th place finish was still 2 and half hours behind Kelly Magelky, who won. I haven’t really been too happy with any of my race results yet this year and know that I could use some good solid purposeful training and just haven’t been rested up enough between longer races or had enough time between races to really fit in some good structured training blocks. I did have a couple Fat Bike races that I was fairly happy with; the Cuyuna Whiteout and Birkie. 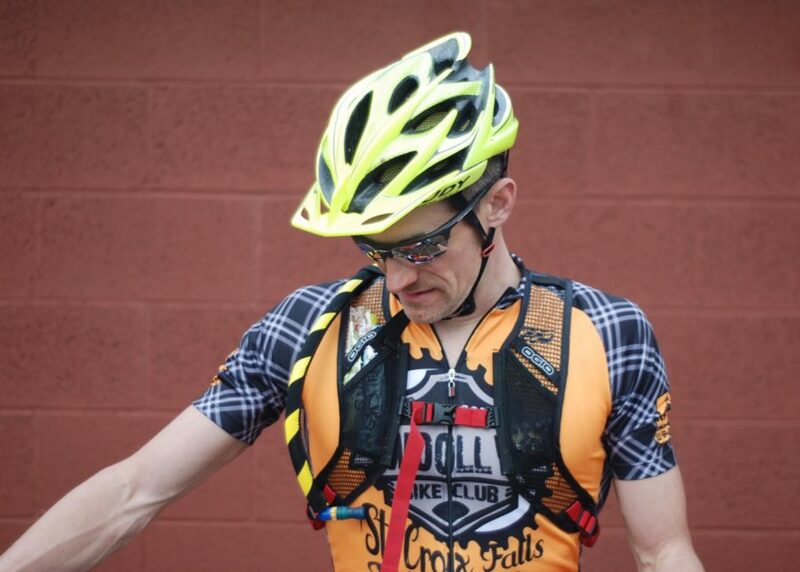 Actually, 906 Polar Roll was going really well also until I missed a turn and repeated a mile and a half of trail, losing a bunch of places and finding my self in more unridable torn up trail from additional racers in front of me. However, when all said and done… I have really been wanting to grow myself in the 100 mile races and I haven’t had a good one yet this year. Regardless, I know where I stand at today and I’ll go into the Maah Daah Hey, not much better off than I was last year and end up wrecking myself again. So, I am going to skip the Maah Daah Hey and focus on a couple structured training blocks. I want to be in good enough shape to complete the Marji Gesick, so that I can quickly move on to some other things right after without having to recover for too long. As I put together a couple structured training blocks, there is some opportunity to fit some shorter races in… That is where the Ore to Shore comes in. It has been on my bucket list and I hear that it is a really good event. I just registered for the Ore to Shore and I might even see if I can get on a wait list or something for the Chequamegon 40. I have also really been wanting to get into some running. A marathon has always been on my bucket list, along with completing an Iron Man. I haven’t given myself time to fit some of this training in and I probably still won’t do much of it between now and the Marji Gesick either. I want to be prepared enough for the Marji Gesick, so that I don’t wreck myself, take a short transition, start some of this cross training in the fall and start knocking some of these other things off my bucket list. My Endurance Path has always been about having enough fitness and endurance to go out and tackle a variety of adventures, challenges and tests. Not just about mountain biking or one specific series or type of racing either. Endurance Path is a bit of a metaphor regarding life I guess. I love mountain biking, but I have gotten distracted a bit and lost focus on what I really set out to do. It is funny how a little bit of downtime can help you refocus and bring you back to your original goals. I am definitely not where I want to be with mountain biking, but I am willing to sacrifice it a little to start tackling some of the other things that I want to do. That first sacrifice at this point is skipping out on the Maah Daah Hey so I can get my fitness together. The trade offs at the end of the day will be well worth it in the outlook of life in general. I am learning some lessons about getting distracted with the things around you that might end up taking you to a place that you don’t intend to go. I guess what I mean is this… If you get too distracted with the immediate things around, you can end up finding yourself chasing something that you may not have really ever intended to chase, nor want to chase. This can be good in a way, because sometimes it can take you to some great places. However, even though you may find yourself in a great place, it may not be the great place that you really want. I’ve always lived my life by never turning down an opportunity in both my personal life and jobs. It’s taken me on some incredible journeys, provided me with some great experiences, good job promotions and raises along the way. I have gotten to travel around the world making friends in new places, experiencing new adventures, etc… I have always had to take a step back at some point though and ask if that was the direction I was really after. Which is why I have changed jobs a few times and inevitably led me to stepping away from corporate life a little over a year ago. I need to go back to the statement “I enjoyed the new opportunities and adventures that always seemed to come my way”. To those that think good opportunities just fall in somebody’s lap… that’s not how the world works. Good opportunities fall into your lap if you happen to place your lap where the opportunity is gonna fall. You have to put yourself out there. I have worked hard, worked smart and taken risks for those opportunities to come up. At one point, I willingly gave up my engineering desk job to gain some supervision experience on a union shop floor, full well knowing that I could probably end up on second shift. I did and it sucked… But, because I did it, I got some exposure to some new lessons and it didn’t take too long to find myself in another better position and learning another discipline. I also got to meet some more great people along the way, even though I had some battles along way, as I was a cocky and arrogant 24 year old at the time, supervising people twice my age. Good and bad lessons were learned along the way. At any rate, sometimes it takes a bit of wandering around, taking risks and just excepting random opportunities to really understand what you want out of life and what your goals really are. Sometimes you can end up down a path that is great, but not the path you intended. Sometimes, there isn’t a path out there at all and you need to cut your own. Sometimes, you need to back track to find the fork in the path and other times you just cross cut a new path to hit the one you intended to follow. The bottom line is this… You are never stuck in a place or forced to continue down a path, just because that is where you ended up. We all have the ability to change direction, plans and goals whenever and wherever we want. This all brings me to where I am at now… I have had a little bit of time to refelect and remember what this was all about for me. I love mountain biking, the adventure behind it and trying new things… But, this whole thing started because I had gotten back in shape and was testing myself. I was finding a new epic adventure to tackle each year. The first year, it was the Chequamegon 40 and then the next year it was the Lutsen 99er and then the Maah Daah Hey 100 after that. I have been to some other 100 milers and although they were good and challenging, I just didn’t get the Maah Daah Hey epic accomplishment experience at some of those other events. I don’t want to take that feeling away from the Maah Daah Hey, that I had last year at the finish line, by setting myself up for something that probably just doesn’t fit this year. I started co-hosting on The Last Aid Station podcast last year and was like a kid in a candy store as I started hearing and learning about all of these other races. I became distracted with all these other bike races and what other people were chasing and the races other people thought were the good races to do. The lines became a bit grey and blurred and I started to lose focus on why I was riding and why I was racing my bike. I think my head became a bit blurred with the path other people were following, the reasons others were racing and the races they thought were the good races. I found myself getting wrapped up in the excitement of it and headed to some races that maybe I would not have gone to otherwise. Don’t get me wrong here, I’ve been to some great races, but they honestly don’t compare to the experience of finishing the Maah Daah Hey or the great family weekend experience that the Lutsen 99er has provided each year. I love the epic journey that the Maah Daah Hey provided and I also love the great family weekend that the Lutsen 99er and the Chequamegon 40 provides. Some of the other races in between were great, but Lifetime Fitness has kind of set the bar in my opinion for a weekend experience and the Maah Daah Hey 100 has set the bar for an epic challenge. Who knows, the Marji Gesick could quite possibly compete on both of those fronts this fall. I suppose it could be slightly confusing as to why I would not return to the Maah Daah Hey 100 again this year, especially since I have already registered… I just know what kind of shape I am in right now, where my head is at and I don’t think going back out there again right now will add to the experience that I had last year and I don’t want to take anything away from that experience. I will probably be back to the Maah Daah, but I’ll do it when I know my head is right for it again, maybe that is next year, maybe not. It might be in the form of going after a 10 hour finish, which will take some major training for me… Or it might be in the form of the 150 or even one of the new trail run events. So this year, that epic challenge is going to be the Marji Gesick and I am going to get me one of those belt buckles and not wreck myself in the process so I can spend this fall getting back to the real reason I started this whole thing. I like self teaching, learning new things and testing myself against new challenges. I’ve been playing around with my own training plans and testing some things out to see what works and what doesn’t. I love coaching, teaching and mentoring and I don’t want to tie myself just to mountain biking. I really want to train, coach and mentor people that are out for that next challenge that requires them to step up their overall fitness levels for biking, running, skiing, swimming, adventure racing or whatever that next challenge is. It might just be overall general fitness. Regardless, I want to go experience all those things myself. I’ll put in a couple training blocks to make sure I can successfully complete the Marji Gesick without wrecking myself and then you will most likely see me preparing myself to tackle some of these other challenges. I am not leaving the bike behind as I am perusing the bike calendars for my next epic bike challenge next year, but you will see me go ahead and start branching out into those other sports like I always wanted to. It is a big world out there and there is a lot more out there for me to tackle. Who knows, they might be 1 time deals and then I go all in on the bike, but I won’t know that if I don’t go find out for myself. I can’t tell you enough, how much I like to write. I really enjoy being able to put these thoughts down on paper… or well a screen. I think it is interesting to share my thoughts and experiences as well. I enjoy the messages I get from people that relate, have questions for me or want to share their experience. Thanks for sending those messages my way and feel free to hit me up any time. I’ll keep you posted on how things are going. I am looking forward to some really cool stuff! Nice article, Thanks for sharing! !